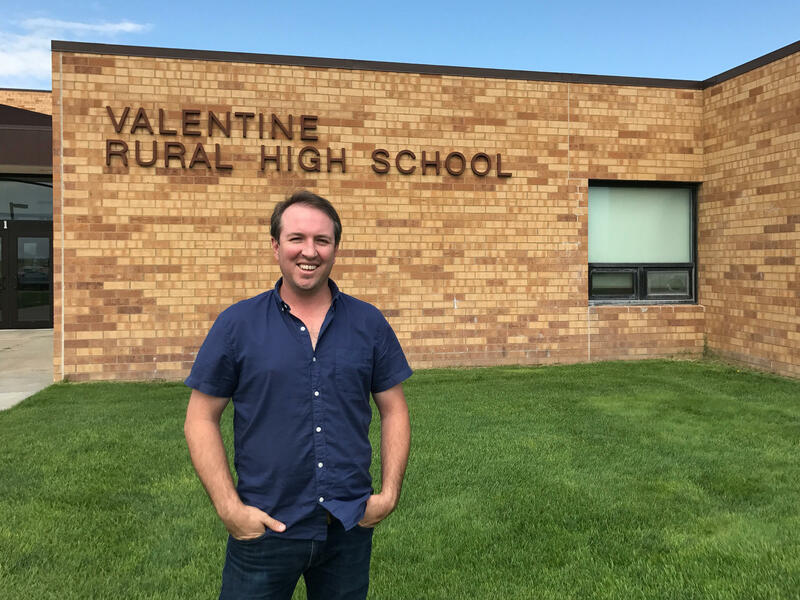 More young people are transplanting to small towns, such as Valentine, Neb., population 2,700 and the largest town of its size for at least a two-hour drive in any direction. Bolo Beer Company head brewer Chris Hernstrom traded the Northwest for the relatively quiet Great Plains for a new challenge. Valentine's Mayor Kyle Arganbright sees the new brewery as a catalyst to grow other artisanal businesses and the town's tourist economy. Chris Hernstrom was brewing in the craft beer mecca of Bend, Ore., when an ad caught his eye: Want to live somewhere gorgeous and make beer for a small community? "It just seemed like an interesting challenge to come out to basically the exact opposite of Bend, some place where the brewing industry is still in its fledgling stages," Hernstrom says. That place, Hernstrom's new home, is the cattle ranching hub of Valentine, Neb., population 2,700, tucked into the Niobrara River valley in the Sand Hills. Hernstrom is head brewer at the Bolo Beer Company. On a recent weeknight, he was pouring pints of Aquifer Ale and filling carryout growlers of Wild West Wheat. With its modern pendant lights and bar made of reclaimed wood, the newly opened taproom looks as if it would be more at home in Seattle or Denver than in rural Nebraska. And that is no accident. After Hernstrom was recruited to town, he noticed there were a lot of recently transplanted 20- and 30-somethings — some new to town but many who returned home after being away for college or living in cities. "They know what they like about those other places they've lived, and so they're trying to make that happen here in the small towns," he says. Situated in remote north-central Nebraska along the South Dakota state line, the region has been graying and emptying out for decades. But in Valentine at least, there are signs this is changing. "I feel like I'm in a city," says Whitney Mayhew, recalling stepping inside the new brewery for the first time recently. Mayhew's husband grew up in Valentine, and the couple decided to relocate from Columbia, S.C., last year to be closer to family. They saw a niche and opened a new boutique clothing store a few blocks away from the Bolo taproom. She says the brewery has fast become a community gathering place and supports other new businesses. "You're definitely seeing a lot of people wanting to find ways that this city can grow and attract more people to come in here who want to enjoy the small, simple life," Mayhew says. The "simple life" comes with a few adjustments. "I miss my Target," Mayhew says, laughing. "We had Target seven minutes away [in South Carolina]." It's more than a three-hour drive now to the nearest airport. And the closest major city is Denver — six hours. But Mayhew says she doesn't miss the traffic and the crime. People don't lock their doors. Everyone knows everyone here. While it's probably too early to call it a trend, what is happening in Valentine is part of a broader cultural phenomenon in rural America. Young people who grew up in small towns and have been watching them struggle from afar are feeling this calling to come home. Take Valentine's own mayor, Kyle Arganbright. The 35-year-old decided to move home a few years ago after graduate school in Lincoln, Neb., and a stint in Washington, D.C. He and a buddy from high school who also recently moved back are two of Bolo's main investors. "I just thought there was a lot of opportunity here," Arganbright says. Valentine was already doing a lot better than a lot of isolated towns its size. It is a hub for the livestock business, shopping and services. It is also a draw for tourists flocking to the scenic Sand Hills for bird-watching, hunting and boating. Unemployment in Cherry County, where Valentine is located, is 2.3 percent, lower than the national rate of 4.2 percent. But a lot of those are recreation and jobs tend to be seasonal, and many other people in town hold down multiple jobs to get by. For Arganbright, agriculture will always be the anchor in Valentine, but he sees a niche in the country's growing creative and artisan economies. "If you're not growing, you're dying," he says. "You can't sit there stagnant, particularly when all these urban populations are exploding." 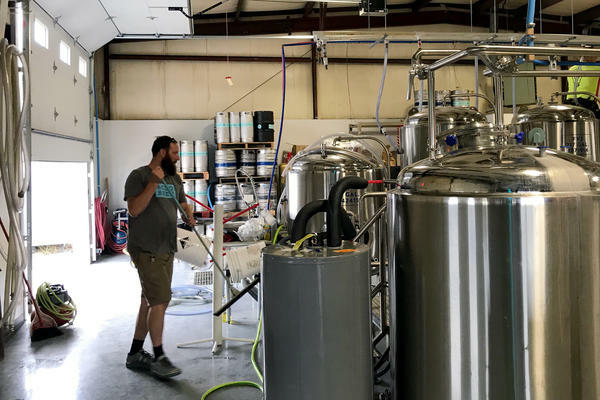 In fact, the idea of a craft brewery as a model for small-town revitalization is being tested across the Midwest, with some early successes: Carson, Iowa, and Ottawa, Ill., to name two examples. "I would hate to overpromote this as the panacea for every small town," says Chris Merrett, director of the Illinois Institute for Rural Affairs. But Merrett says it has potential in places like Valentine that already have natural amenities and attractions around them and don't have to rely on the loyalty of local customers only. Bolo's change hasn't been without its early stumbles. It can be hard to get supplies quickly out here. Business also drops off when the tourists leave. And Hernstrom admits that the idea of a craft brewery is still pretty new, if even strange, to some longtime locals. "We're the weird people that ride bicycles around," Hernstrom says. "And we've convinced a lot of people to start riding their bicycles more." "Chris the Brewer," as he is known around town, makes good beer, too, and that never hurts. 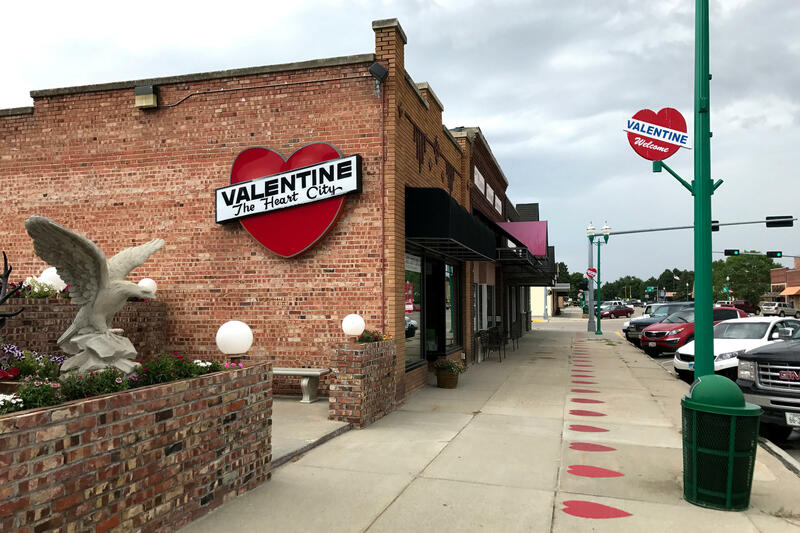 "I'd love to one day be able to look back on this and map the growth of Valentine," Hernstrom says. For now, Bolo is just focused on hiring its first full-time employees, and there are plans to open a beer garden and possibly even add a kitchen soon.